Halo was enjoyable for this visit initially because they had strong air conditioning blasting. We stood for about 15 minutes before some seats opened up. 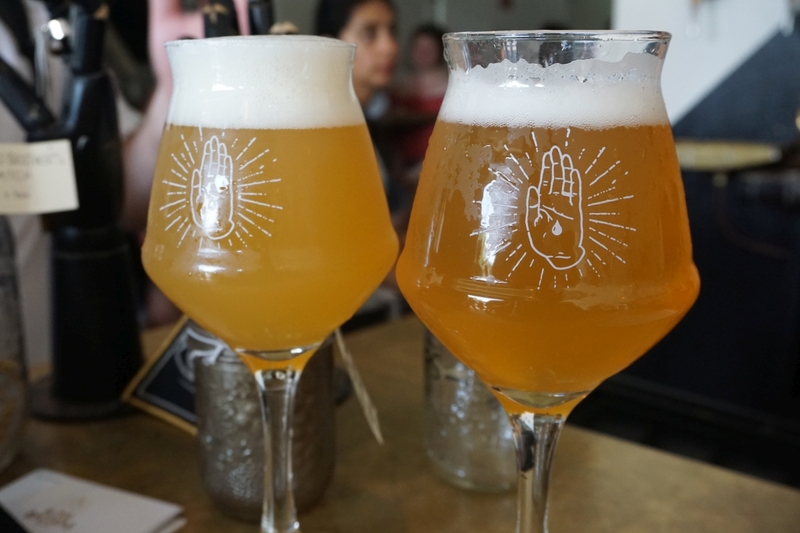 I had two beers that day, a hazy IPA called New Wave, and a tart saison called Day Star. The New Wave seemed initially to be overly harsh in hop acidity as if it was tapped too soon. Hops came through mostly with flavors of apricot though thankfully as it warmed up a bit the acidity faded and more of the candied fruit flavor I remembered from my visit a year earlier came through. The tart saison was nicely balanced with subtle notes of apricot and funk with some lingering acidity. Halo’s tasting room is tiny but it is a nice place to spend some time if you are nearby and it is hot outside. 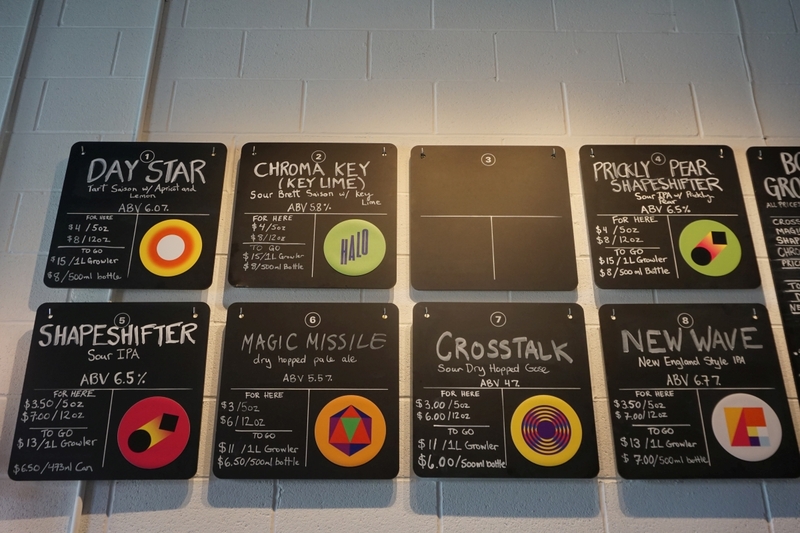 They are quite a distance North West in Toronto but once you are up there it is fairly short walk to two other breweries, Burdock and Blood Brothers. Though if it is hot, I suggest doing Burdock next because they have air-conditioning. 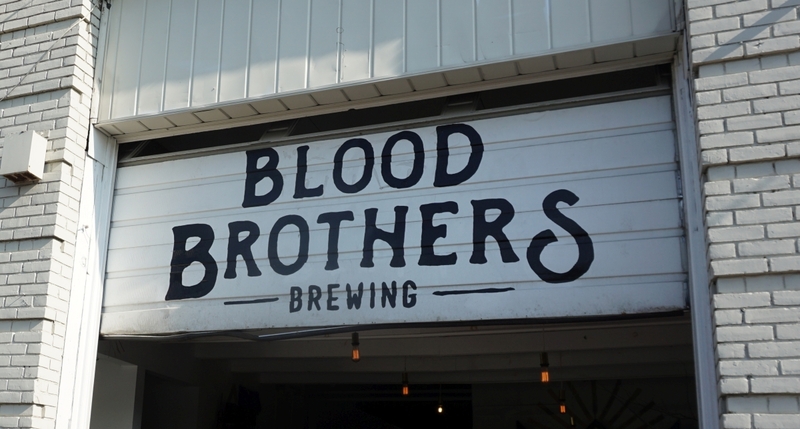 We went to Blood Brothers next mostly because it sounded like the IPAs at Burdock were more on the hazy side and we assumed my friend would prefer that style. When we got there, he announced he was done with beer and wouldn’t be having any more there. 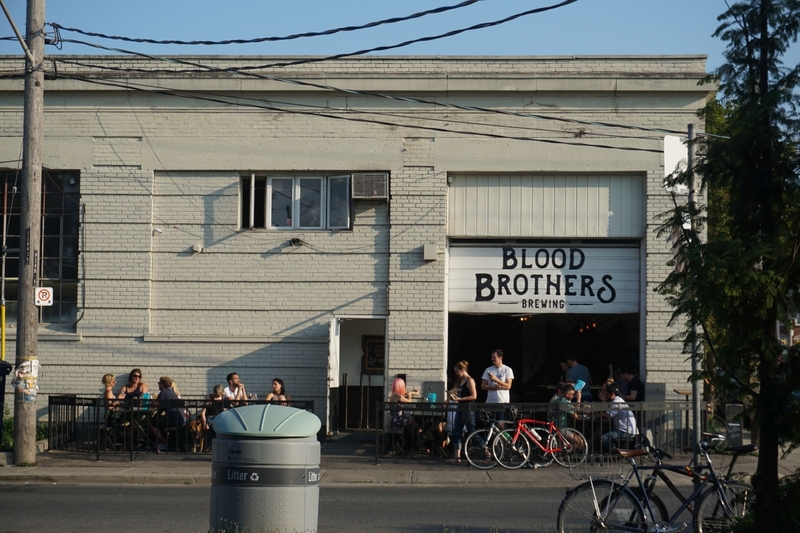 If it is hot outside and you are doing a tour around the area, try to visit Blood Brothers later in the day because they don’t have air conditioning and it gets quite hot inside. Though clearly the crowds didn’t care how hot it was. Beer wise, my notes were mostly taken on Untappd because despite the heat the place was packed and there was nowhere for me to put my beers down. 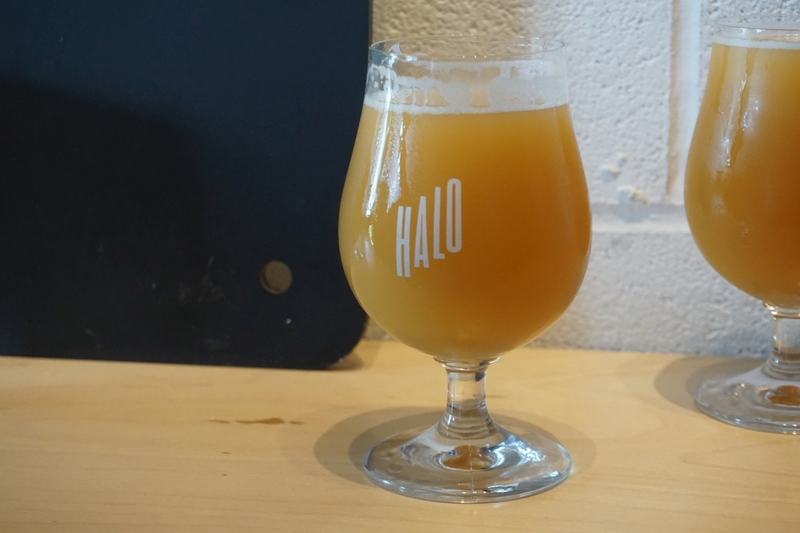 I started with the Shumai IPA, a hazy IPA that was creamy and a nice blend of herbal and citrus hop character. The beer was restrained in hop acidity and not too bitter. After tasting a friend’s beer of Paradise Lost Razzle Dazzle, I had to order one for myself. This is a beer with raspberry and vanilla served on nitro. It was super fruity without being overly sweet and was extra creamy on nitro. I would love to see this in nitro cans to enjoy outside of the brewery. Burdock was our last stop for the day, a short walk from Blood Brothers. 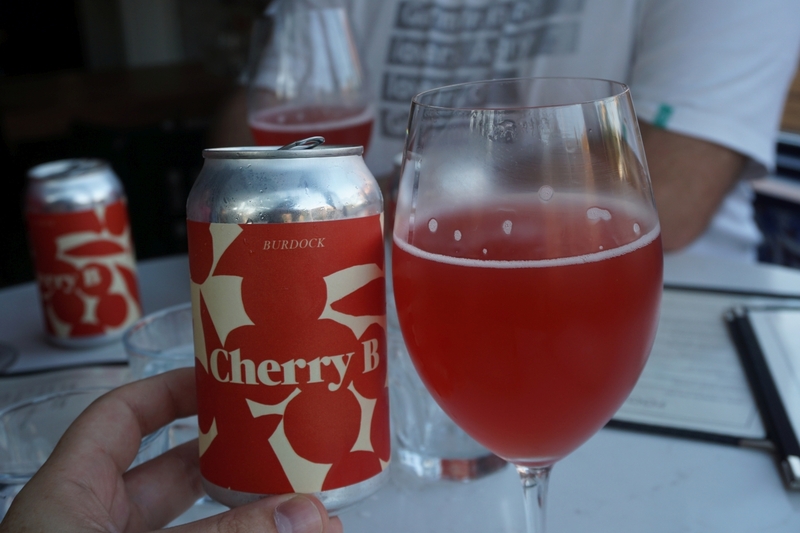 Everyone at the table saw the cherry and other fruits can-conditioned sour called Cherry B and went straight for that one. It was nice and refreshing with powerful cherry and mild mix of other berries while not very acidic. It was especially nice to enjoy as we cooled down from the hot brewery before hand. I also ordered a dry-hopped sour called Te. It was nice and funky with light herbal hops. 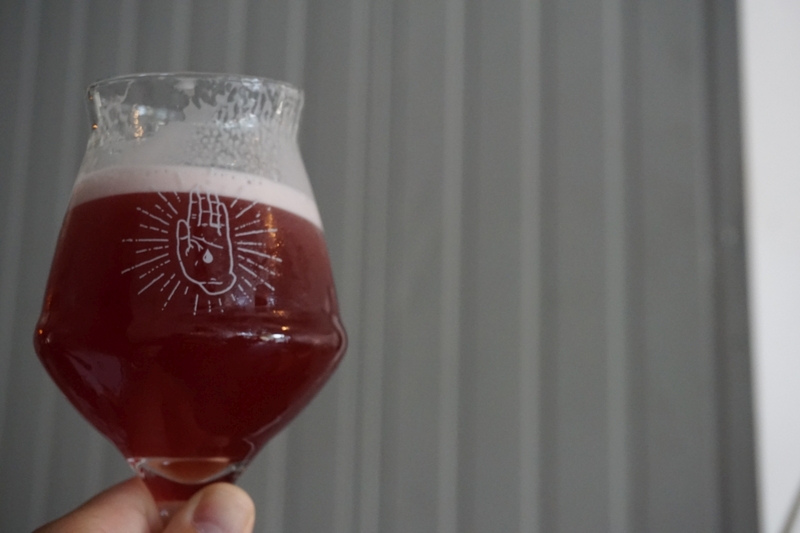 Burdock impressed me last year with the quality of their sours and again on this visit. They also have a restaurant. If you want to read about my visit to some of the same breweries in my 2017 trip, you can find the old post here. During the 2017 visit I ended up ordering a bottle of sour to enjoy on site because they had a nice reduced price bottle that day.